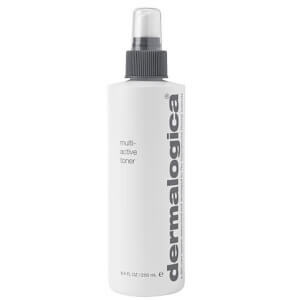 A soap-free foaming gel designed to thoroughly remove impurities without disturbing the skin's natural moisture balance. Calming Balm Mint and Lavender extracts soothe the skin while natural Quillaja Saponaria gently foams away toxins and deep-cleanses debris. Fragrance free. Professional recommendation advised. Quillaja Saponaria: Bark purifies the skin, unclogging pores. Melissa Extract: Anti-inflammatory that soothes skin irritations. Balm Mint cools and calms the skin. Water, Sodium Laureth Sulfate, Disodium Lauroamphodiacetate, Sodium Trideceth Sulfate, Hexylene Glycol, Hydroxyethylcellulose; Extract Of: Lavandula Angustifolia (lavender), Melissa Officinalis Leaf, Quillaja Saponaria Bark; Essential Oils Of: Lavandula Angustifolia (lavender), Melissa Officinalis Leaf; PPG-5-ceteth-20, Citric Acid, Sodium Chloride, Phenoxyethanol, Methylparaben, Propylparaben. 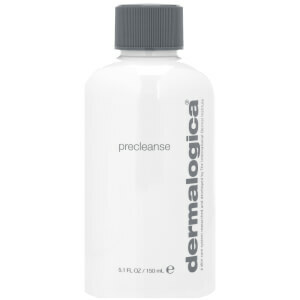 This cleanser is so gentle on my skin yet cleans it perfectly. doesnt dry the skin out at all but you feel clean. Alittle goes a very long way it took me ages to go thru the delux sample when I first tried it out and it was then that I knew it was worth the money. Took a little while to work, but will not use anything else now! ive been using this for over a year, i get so many compliments on my skin! Hey it's not just for women, this product worked better than anything I've ever used, it's light and soft and doen't leave red blotches after use. I mainly use it so that each day when after I have put sunblock cream on, I am not layering it over dirt/impurties already on my skin that water alone can't remove. It may seem like a lot to pay, but you only need to use the smallest amount each time, and if your buying 'similar' products from the super market, your simply wasting you money! This is a great product, it doesn't dry out the skin but still cleanses it well. Also feels lovely on the skin, as is not too foamy and not too creamy in texture.